One of the first places I ever ate in Chicago was at Clarkes on Belmont near to the Belmont El Stop (read more here). I had come up here looking for an apartment and there was an agency just along the road that I had spotted when checking out the area. That place was great it was open pretty much 24 hrs and I had stopped in many a time when in need of some kind of late night sustenance after a few beers, and also late weekend mornings when my head hurt little and I just needed some eggs to help my body sort itself out. 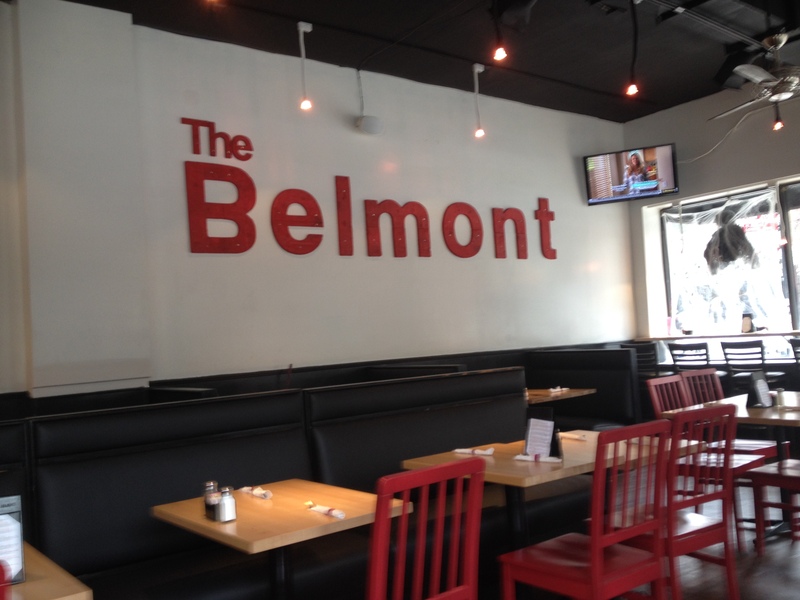 It was with that sort of food comfort in mind that I had headed up to Belmont only to find that the place I once relied on had been replaced with The Belmont. Well it seemed to be just the same sort of place so I stopped in to look for some sort of breakfast. For a moment or two I contemplated ordering The Classic which was a bagel with eggs, cheese, and a choice of either ham, hickory smoked bacon, or sausage from the Breakfast Sandwich section of the menu as it did sound pretty good. I didn’t really want any bread though and I had in my mind something with breakfast potatoes. I knew that I would probably find what I needed in the basic Eggs section of the menu so looked through the menu to find what I desired. Now this was more like it! 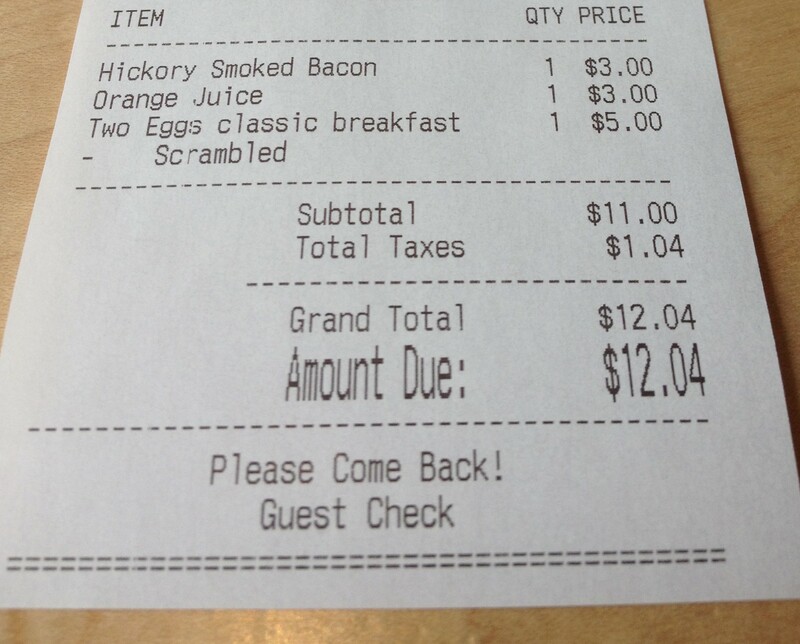 I ordered the Eggs any style (I had scrambled) with a side of bacon and a large glass of fresh orange juice. 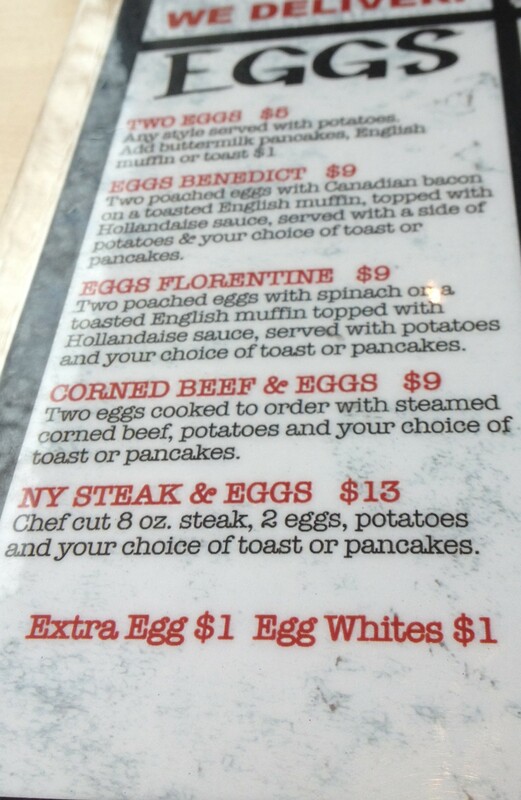 I almost had the NY Steak and Eggs but to be honest that was $13 and the Basic Eggs was just $5. Also I really wanted some bacon! Now this was just what I wanted and just what I remembered. The Scrambled eggs are more like a broken up omelette, but they are light and fluffy and not at all greasy, love them like this. The house potatoes seem to vary so much from place to place, sometimes with peppers, sometimes packed with onion, happily I was to find that the ones served at the Belmont were nice and simple with just a little bit of grilled onion in amongst the crispy cubes. The side of Hickory Smoked bacon was awesome. It was nice and crisp, and still meaty, it was packed with smoky and salty flavour. Love it so much. It was a perfect accompaniment to my plate of eggs. I have to order this every time I have breakfast eggs! I really enjoyed this breakfast plate at the Belmont. To be honest it was better that all that I had at Clarkes and the place seemed to be more relaxed and more casual. I’ll come back here again. 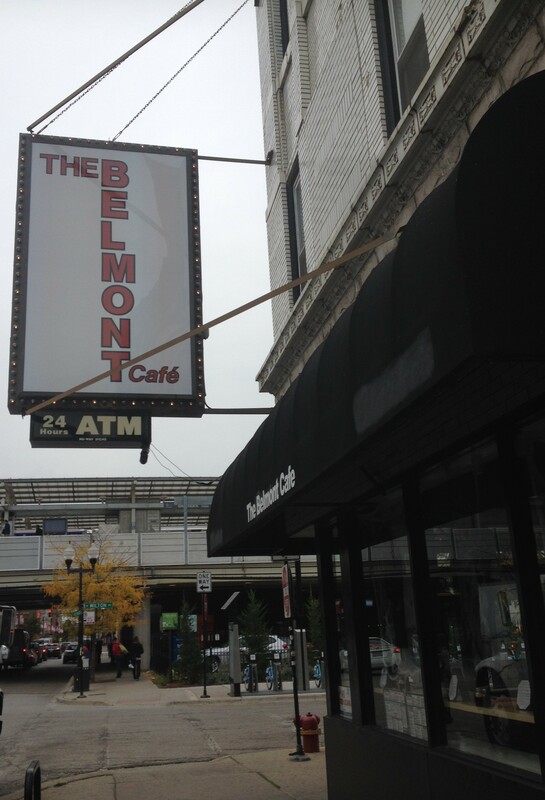 The Belmont Café at 930 W Belmont Ave is within sight of the Belmont CTA stop where the red and brown lines split. It is literally a couple of minutes walk from the station.